Even as a boy, all Ben Covington ever wanted was to spend forever with Dahlia London, the beautiful girl next door...then one life-altering decision tore them apart and he was forced to leave her. 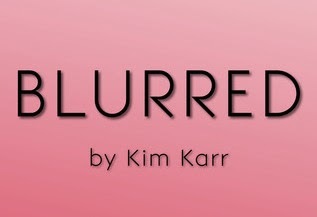 to visit Kim’s website to read an excerpt from "Blurred"
I wear a lot of hats! Writer, book-lover, wife, soccer-mom, taxi driver, and the all around go-to person of the family. However, I always find time to read. One of my favorite family outings use to be taking my kids to the bookstore or the library. Today, my oldest child is in college and my twins are juniors so they no longer go with me on these outings. And although I don't need to go to the actual store anymore because I have the greatest device ever invented—a Kindle, I still do. There's nothing like a paperback.